SuperGay iOS Game Trailer - Gay Rights Activists Play Games Too You Know! If you're tired of all those heterosexual heroes doing all the... uhmm... heroics! Than I guess it's time for you to see a super hero of the "third kind"! 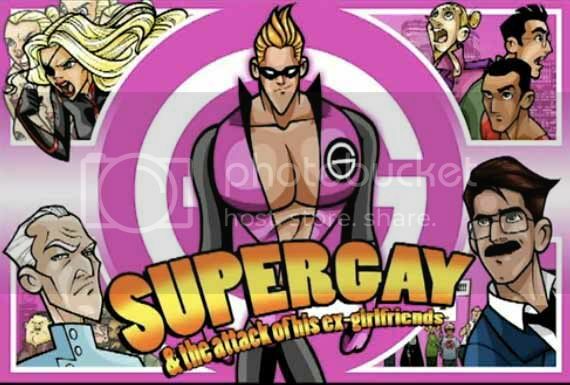 SuperGay as the title suggests, is an openly Gay super hero that used to be straight. Assuming the "ex girlfriends" in the title are his or maybe for the guy he's into right now. Anyways I haven't seen any gameplay trailers yet but if you're looking for a fresh concept and an avid fan of gay rights and all that stuff you might want to pick this up the next time you go shopping on Apple's App Store. Far as I'm concerned I'm just happy to be mashing it out on Street Fighter.